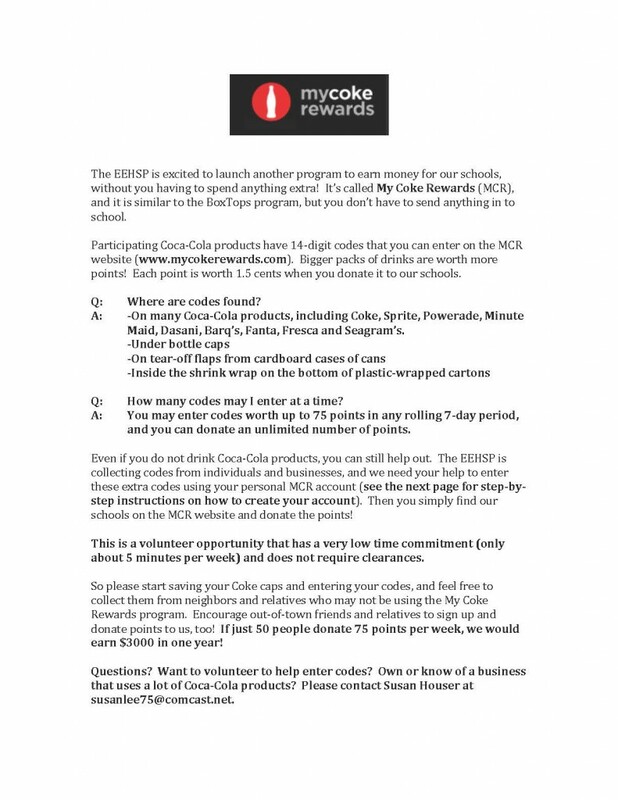 Visit www.mycokerewards.com on your computer or mobile device. Click on Sign In/Join and create an account. You may need to verify your email address. You can link your My Coke Rewards (MCR) account to your FaceBook and Twitter accounts, but you don’t have to do this in order to donate points to EEHSP. 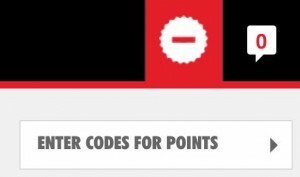 Enter codes to earn points. Click on the menu symbol in the upper left corner. Click on Causes, then under The New My Coke Rewards for Schools, click on Learn More. Click on the red tab that says Find a School, enter EEHSP Flourtown, locate Erdenheim Elementary, and click on View Profile. (Enfield DOES have a profile, but we ask that you only use Erdenheim’s. Using one profile only will allow us to reach the minimum payout requirement more easily. EEHSP will share the funds between the two schools.) Click Add to Favorites to find EEHSP even faster next time, under the My Donations tab.